The Velbon DL-11 DL-11 is a light weight dolly with wheel locking system. 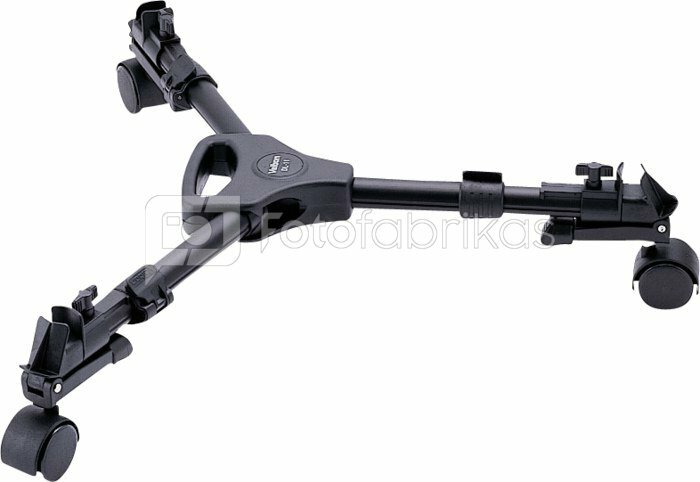 It is ideal for the video tripod DV-7000, or can be used with medium-weight standard size aluminum and carbon fiber tripods from other brands. 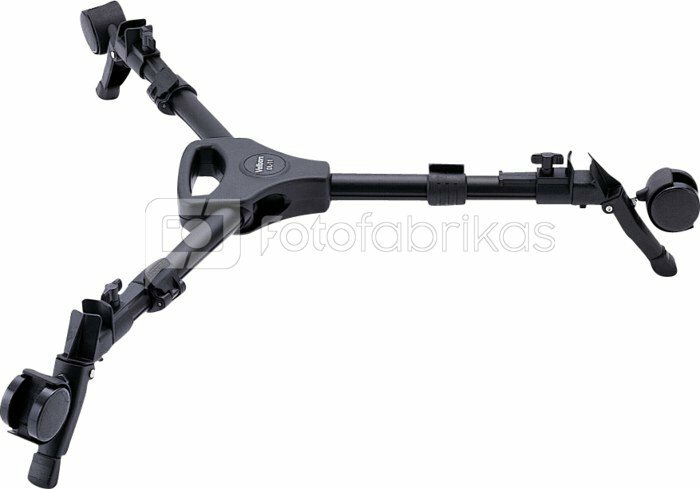 It offers "white extension marks" for easy adjustment, and has 2-section arms, a built-in handle, quick-clamp tripod mount shoes, and Deluxe Casters that can flip up to a No-Roll Stand System.